Take a 5 Day tour of the country, experiencing a different area each day. 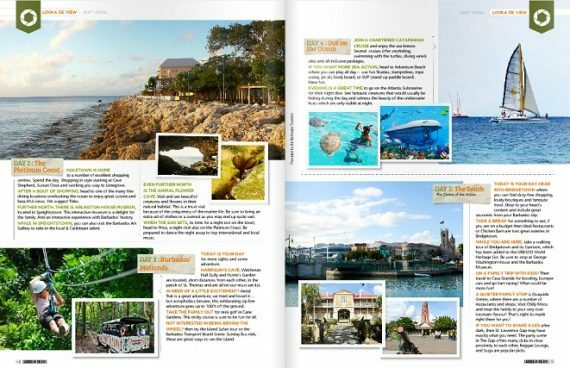 Stop off at some of the island's most interesting, exciting and picturesque spots and take in a bit of the culture. Traverse the East Coast on day one, the Platinum Coast (West Coast) on day two, the midlands on day three, the ocean on day four and the South Coast on day five. Hire a car from GL Rentals or Direct Rentals and head out early. I mean early early. 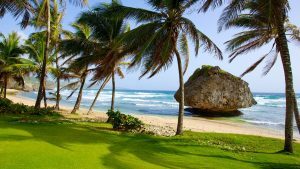 Drive to the Barclays Park on East Coast Road and relax and take in the beautiful sunrise. This is something nice to do with your significant other. Don't forget to take a blanket, some sandwiches and a couple drinks for the full picnic experience. Fueled up and ready to go, you can now travel through the hills and valleys of the East Coast, stopping at various points to take in the sights. 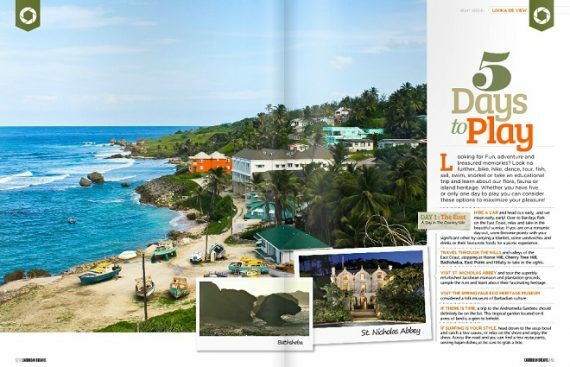 Horse Hill, Cherry Tree Hill, Bathsheba, East Point and Hillaby are a few of the picturesque stops. There are a few places of interest to visit in the East. 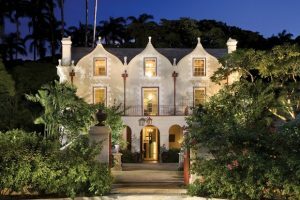 First, you can visit St. Nicholas Abbey and tour this superbly refurbished Jacobean mansion and plantation ground, sample the rum and learn about heritage. Also, visit the Springvale Eco Heritage Museum. 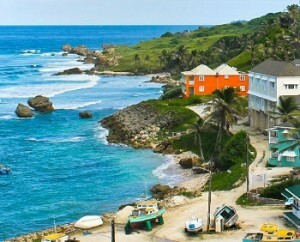 Considered a folk museum, you can learn about the history of Barbadian culture. If there is time, a trip to the Andromeda Gardens should definitely be on the list. This tropical garden located on 6 acres of land is a gem to behold. shore. 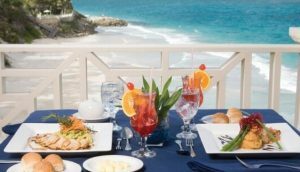 Across the road from the beach, you can find a few restaurants serving Bajan dishes, so make sure to grab a bite to eat.